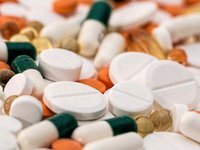 Ukraine's Health Ministry proposed that imports of some medical products (including for in vitro diagnostics, as well as active medical products that are implanted) without conformity assessment, but which application is required for the health care system. The respective draft order is posted on the website of the ministry for public comment. The document, in particular, would allow the importation into Ukraine (without the right of sale) of medical devices, for which the requirements of technical regulations are not met, but their application is necessary in emergency situations and during the implementation of international technical assistance programs. In addition, it is proposed to allow the importation of medical devices necessary for the use of military personnel performing tasks to ensure national security and defense of the country, as well as military personnel of the armed forces of other states admitted to the territory of Ukraine in accordance with the law. Products that have not been evaluated for compliance may also be imported for individual use by citizens in order to preserve their life and health. For the importation of these medical devices into Ukraine, the applicant submits a statement indicating the purpose of the importation, the name of the product, the lot (series) number, volume, as well as the manufacturer, to the Health Ministry. In accordance with the purpose of importation, a package of documents is attached to the application. All documents are submitted in one copy and translated into the state language. According to the results of processing, the Health Ministry will issue a notification to the applicant free of charge. The period for consideration of the application, informing the applicant about leaving the application without consideration, issuing a message or refusing to issue it should not exceed 10 working days from the date of registration of the application.